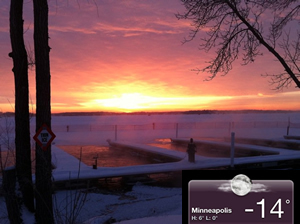 Beautiful sunrise Lake Minnetonka. But COLD! One of the greatest things about a good old fashioned, cold and snowy Winter in Minnesota is leaving for a few weeks to warmer weather. Add to that the opportunity to spend time meeting smart online marketers from around the world and it’s an even better season. The next 30 days will be a whirlwind with speaking events in San Diego, London, Barcelona and Austin Texas. Interestingly, one of the events I’ll be speaking at put up a video of me from about 5 years ago (03/06 Seminar in Minneapolis) as a preview. The funny thing about the video is that the topics I discussed haven’t really “gone out of style” in the past 5 years: Blogs, Social Media, Press Release SEO, Content Marketing. 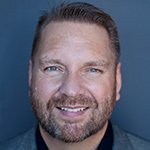 If you’ve been reading Online Marketing Blog and like the kind of Social Media, Content & SEO insights shared here, then hopefully you’ll be able to connect with one of the upcoming events where I’ll be presenting on 2011 versions of these same types of topics. Here are the dates and locations. I hope to see you there! This is a one day event from SES offering advanced topics on a range of online marketing topics as part of the Annual OMS conference. 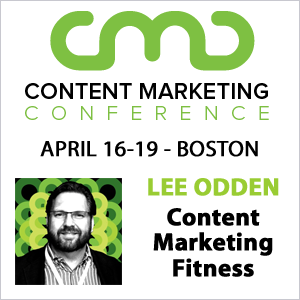 At 3:30pm I’ll be giving a solo presentation on Content Marketing Strategy. Looking forward to some sunny California as long as I can get out of the convention center. It’s been 2 years since I’ve presented at SES London and this time I’ll be giving a solo presentation on Content Marketing & Optimisation on the 23rd at 11am. Then I’ll be moderating a SEO Through Blog & Feeds panel at 12:45pm on the 24th. On OMS Day, the 25th, I’ll be giving a solo presentation on Integrated Online Marketing: Search, Social & PR at 10:15am. Granted, London isn’t exactly warm this time of year, but it’s got to be milder than Minnesota. I’ve been attending SXSW for about 4 years now with no intention of submitting to the secret handshake club for speaking. After doing a panel at BlogWorld with TECHmunch, Babette Pepaj asked if I’d be interested in doing a TECHmunch during SXSW. This is one heck of an event with the likes of Brian Solis, Sarah Evans, Eric Schwartzman, Erik Deutsch, Ben Huh and many other impressive digital people (LA Times, CNN, Cooking Chanel, CBS, Current TV) I haven’t met yet. Of course I said yes – hanging out with Foodies is definitely my style. I’ll be talking solo again on some combination of Social, SEO and Content. If you’re attending any of these events or covering them as a blogger, I’d love to meet you! Please say hello. Bloggers be sure to leave your card or ping me if you liveblog one of the presentations so I can link back to you from a roundup post. As you can probably tell, I’m making an effort to mix up the standard search conferences with something different. I’ve found that expanding beyond the SEM industry into other areas over the past few years has allowed me to meet some amazing people that have resulted in great friendships, new business and a lot of learning. Well, look for someone that speaks both spanish and english!! Kidding…a little bit: both at a hotel and business level, you won’t have problems. Then, if you go through the city, at some places you might have comprehension problems, since in services theres much people that does not speak english. Should you need anything, please let me know. Quite a roundup going for you! And sounds like a ton of fun! A Foodie in Spain? What more do you need. lol. I was considering going to OMS, but think I am going to need to pass (hitting the day spa as part of the love holiday). And SXSW – ah bad planning on my part. Very upset I am not making it to SXSW this year. So, it’ll just need to be BlogWorld this year! Have a wonderful time! Perhaps we’ll meet up one day. Lucky for me I’m only at OMS for 2 days and will make it back to cold MN and warm hearts for that holiday. 🙂 See you at BlogWorld! That’s quite the schedule you got there. The good thing is that there will be a little fun mixed in – seeing the places you’re going to :). Well, at least I hope. Your topics are extremely interesting which kinda makes me all the more sorry that I’ll be missing the live talks :(. Best of luck to you (not that you need it) and safe travels. I’ll be looking forward to reading about all of these and hearing about the events. Thanks Ingrid – the mix of work and a little off time makes up for being gone so long. Plus meeting smart marketers around the world. 🙂 Glad you like our stuff. Your own blog has grown quite a bit in the past few months. Congrats! Yes, it’s nice to get away from The Midwest about this time of the year, especially with this season were having. Sounds like a hectic, but warm schedule, and also wish I might be able to attend one of these events as the blog is so insightful. Good luck and be safe in your travels. * I stumbled this blog a few days ago, and I am blown-away. This is a very robust and topic-rich site. Definitely one to use as a benchmark for others. Really like the layout. Kudos to you and your colleagues for all the great information. Really do, and your welcome. Wish the link was good.